LIMITED & NUMBERED EDITION OF 88 PIECES WORLDWIDE! Silver dial with a "flinque" fine waved sunburst design texture. Applied polished white gold stylized Roman Numeral hour markers. 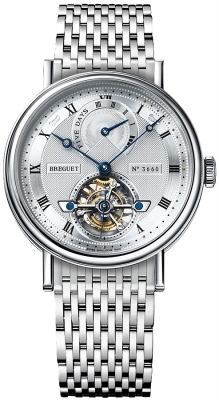 Elegant polished white gold leaf shaped skeletonized hour & minute hands. 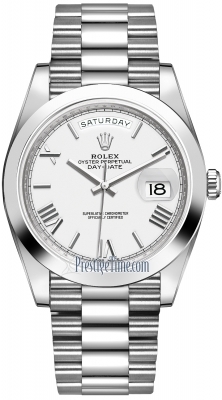 Located at the 12 o'clock position & visible through an opening in the dial. Designed to counteract the effect of gravity on the balance-wheel & escapement, which will contribute to a more consistent accuracy from the watch. 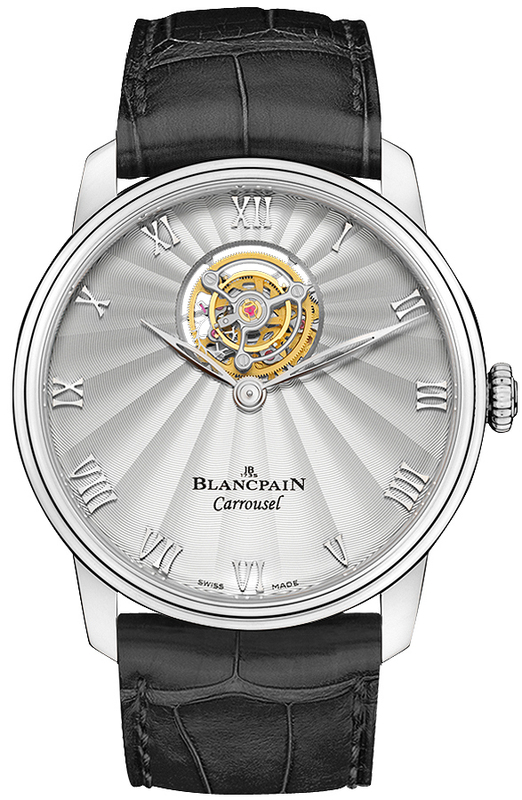 The Carrousel carriage makes a single full rotation once every minute thus doubling as a seconds indicator. The Carrousel consists of a platform on which the balance wheel & its bridge go round like a horse on a merry-go-round, hence the name "CARROUSEL". 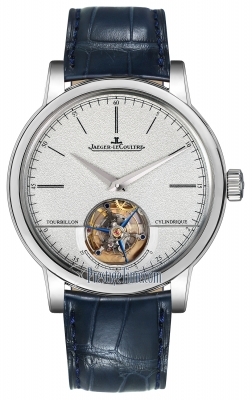 The Carrousel differs from the Tourbillon: the Tourbillon has its balance wheel & escapement mounted to a cage rather than a platform. 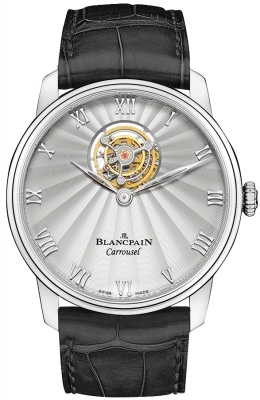 Blancpain Caliber 228, composed of 209 components, contains 35 jewels & has an impressive power reserve of 120 hours.